What is a Android TV Box and How Does it Work? An Android TV box is a small media center that connects to a TV to play video and games. Android TV boxes are popular items these days and allow a user a wide range of uses from surfing the web, to streaming video straight to your TV. These small boxes can turn most any TV into a smart TV with a wide range of options. Most people use them to stream movies or TV shows from their favorite streaming sites, such as Netflix or Hulu. A box is connected to a TV and setup to the internet via wired Ethernet or WiFi connection. 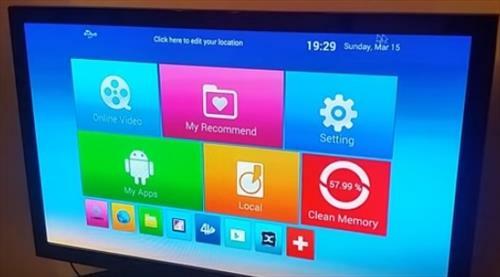 After a box is connected to a TV, and the internet, apps can be installed. For example a YouTube app can be installed to stream YouTube videos. Android is an Operating System, like Windows or iOS, that was created by Google mainly for mobile phones. It runs on ARM based processors which makes it portable to any device that runs the same hardware. Since the Android Operating System is open source and free, it is much cheaper to manufacture hardware based on it and sold. While it is mainly used on smartphones it can also be installed on small boxes that run the same hardware but give better input and output options. For example Android TV boxes can output HDMI to a TV giving it HD viewing ability. They also can use a remote control, keyboard, or mouse for input. What can a Android TV Box Do? They are mainly used to stream video content to users allowing them to watch their favorite TV shows and movies on demand. While that is their main use they can also do most anything a standard computer can do. As with android based smartphones Apps can be installed from Google Play Store that can do most anything that can be thought of. A very large variety of apps can be installed that can do everything from creating a document, to checking the weather. What Type Of Boxes are Available? Units come in all shapes, sizes, and pricing formats. Like all things computer related better hardware is introduced constantly from many manufactures. Low cost budget boxes are available along with high-end units packed with the latest fastest hardware. Each box will come with its own setup as manufactures modify the android code to fit their machines. Popular options include the Nvidia Shield or ABOX A1. Which box is right for your setup very much depends on what fits your need and price range. The best way to see what is best for your setup is to read reviews on units within your budget. Android TV boxes are here to stay and are a nice fit into any home entertainment center. Android smartphone users will have no problem quickly moving about the interface and finding what they want. As with any computer those that are new may have a slight learning curve as to how things work. Most all units are different and will have different features and hardware. Most don’t come with much internal hard drive space and use micro-SD cards or flash drives to give more storage space. Some high-end units give large internal hard drives which of course will cost more. Low-end units are popular since they are cheap and a nice place for many to feel comfortable starting with. While many cheap units work well keep in mind they often require some skill to setup and operate. If you have some knowledge of android based systems than using a low-end box will likely be fine. If you have never used one before than having some technical support may be best which low-end boxes dont usually offer. Reading reviews and watching YouTube videos on the different units available is best to see which one would fit your skill and home setup. Also keep in mind the wireless the box offers. Streaming video over WiFi can be challenging at times even with good equipment. Running a wired Ethernet cable is always best but sometimes not feasible. 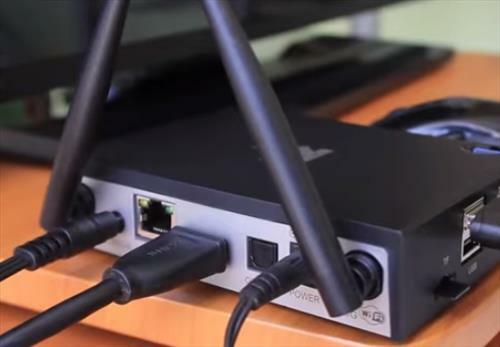 If you do need to use WiFi be sure to read how well it streams video content over a wireless setup. I having a smart tv of VU company (Vu 102cm (40 inch) Full HD LED Smart TV) . It can connect to internet & having usb & hdmi port. But it runs on Safari OS , as a result I can’t install android apps there . Is it possible to use any Android TV box with this tV ? I am missing out lots of things in my tv … It will be really helpful if you kindly help on it. I have an MXQ android box and last couple of days the movies n show’s won’t play? it comes up “no data” whats up with that? I get steams for “TVBox” but they won’t run… any suggestions? You would have to connect it to your TV HDMI port. Once you select the HDMI channel it’s connected to then your good to go. Hi have been researching how to get out of my Direct TV cancellation fees, but before I do I want to make sure this KODI which I guess is streaming player does all I want? I don’t understand all the tech language so I’m not sure if it will also get me all the local channels ,and my fav cable channels, like E, Lifetime ,Nat Geo, History, Animal Planet, or do I have to buy add one? I don’t want to lose my DVR recording ability. Is this stream player easy to hook up and update add ons, for a non tech person, or will I need to hire someone to get it set up? I have internet thru another service and pay $250 every 3 years, along with using a Router to hook up all my TV, laptop, etc. Kodi is on the technical side and is not for everyone but is free so worth checking out. There is no need to buy a box as it can be installed on a computer or smartphone for free. Once Kodi is understood there is no need for a DVR as all the videos will stream to you. Be sure to check it out for free first before investing in a box. This info has been very informative, thanks you. I will take your advice and try it for free first before I buy. Do you still. Eed dstv subscription if you got this tv box? There are so many different manufacturers of Android TV boxes that it’s impossible to know which one is better than any other. I suppose if you get a name brand one like the Nvidia shield at least you know what you’re getting. Can tv box allows me to watch DSTV channels , Show max, Amazon and Netflix without any payments or subscription to those particular companies? Regard Mandla Edison from South Africa Johannesburg. I just hooked my TV BOX 4K yesterday in my living room. For some reason I can’t find how to get the Hulu application on this? I have a smart tv in my bedroom & have the hu app. Any help with this would be greatly appreciate. Thank you in advance!! Does your box have a Google play store ? If not you might not get the app . I am getting that I have asked this question before, however, I have not received an answer ….. so I am asking again: Are you able to watch major networks/shows on this system? Or are you limited to older episodes that you can find on Hulu, etc.? Android TV boxes can play most anything from anywhere is depends on the provider what can be played. There are many providers including IPTV services, HULU, Netflix, Amazon, Kodi and many more. Are you able to watch major networks/shows on this system? Or are you limited to older episodes that you can find on Hulu, etc.? How much free streaming go channels can you do. How many.free channels can you get and do these devices turn your tv into an a fried tablet or smartphone. I ordered the BoxTV a month ago the payment was charged to my Visa for $352.60 and $91.14 a lot more than anticipated for sure. As yet I have not received anything. The items I ordered should have been taken from my Visa after I received the items. Please let me know why this happened and why this amount of money. Hi, I have a Samsung Hard Drive which I use to record programs on – can I record from the box as well onto my hard drive? Thanks for the information and insight. I am a new comer just starting out. Yes they will, check the video outputs match your TV such as Component or HDMI. I urgently need one which is the best quality name brand would you advised to purchase? Nvidia Shield is the best but also cost the most. Most use WiFi but they can be connected with wired Ethernet also. The same as a PC. Hi, will android TV box operates on connection from wifi or broadband internet line? They work on WiFi or Ethernet the same a PC. You will need to look at which online streaming service is best for you. The most popular options are Netflix, Hulu, and Amazon Prime. I have a Roku box and subscribe to Netflix. 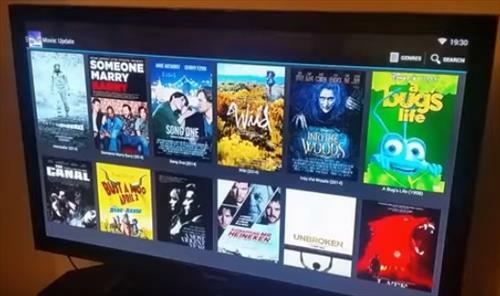 How is Kodi different? Would I need to replace my Roku? Does Kodi provide the streaming capability? How do you plan on getting anything if it’s not connected? Android Tv boxes are the best to use. I am using Gostreamer G8 4K Ultra HD Android TV Media hub which is the most powerful streaming device. It runs on Android 4.2 Kit-Kat. Nice device. I am very happy with the features. hi i have tv but they’re no USB port .how to install it. and how this work for local channel .